No Java or Flash Required Purely web based. Everything works in your existing web browser. No separate programs to install. No incompatibility problems. Secure. 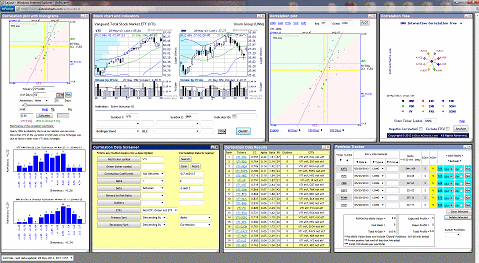 Correlation Trading Platform Screen shot shown above. Huge database and a search form allowing you to search and sort by ticker, correlation coefficient, alpha, beta, reward to risk ratio, outliers and by etf or non-etf. Runs in your web browser. 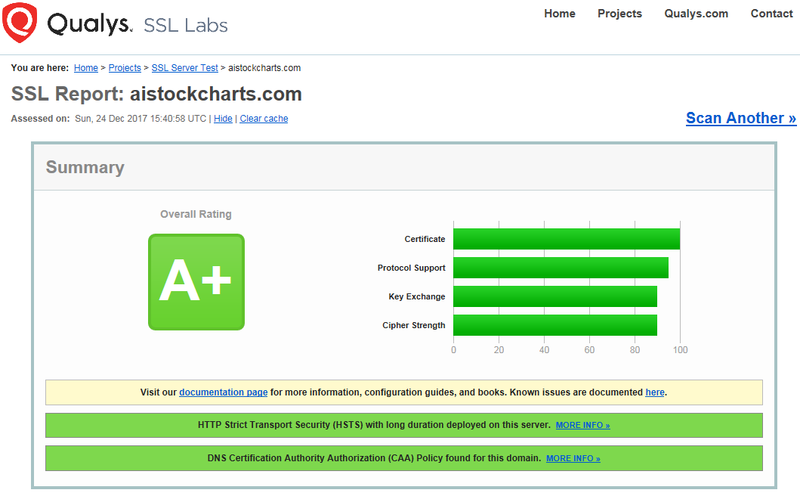 IE, Chrome, Firefox and Safari supported. You can move, close, minimize, resize and save the various windows, positions and contents including any charts, database searches or portfolios you set. Portfolio tracker included. The Correlation Trading Platform does not allow for the actual trading of securities. Instead it allows you to enter trades into the portfolio tracker. These trades do not execute and have nothing to do with real money. Money is not deposited or withdrawn and there is no related account holding any money. Currencies, US stocks and etfs included. Currently updated twice daily on days the US stock market is open. More info. 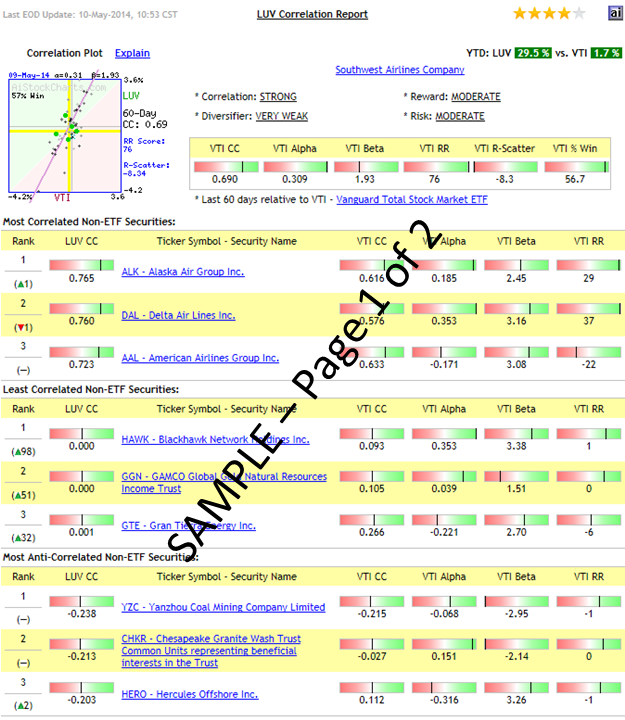 Level 2 Stock Quotes Free real time level 2 stock quotes on the level 2 stock quotes page. Daily Market Data Free market data updated daily on the Market Data page. Correlation Tools 5 free price correlation tools on the Stock Analysis page. Enter a symbol and find the most correlated or anti-correlated stocks. Find the correlation between specific stocks. Find the correlation values between several stocks and the S&P 500 ETF (SPY) or the Vanguard Total Stock Market ETF (VTI). End of Day Stock Charts Many charting options available. Updates to daily charts usually complete by 5:15 pm CST each day. No Software Download Required Everything is available directly from the web site. No spyware or viruses to worry about since there is no software to download and install. 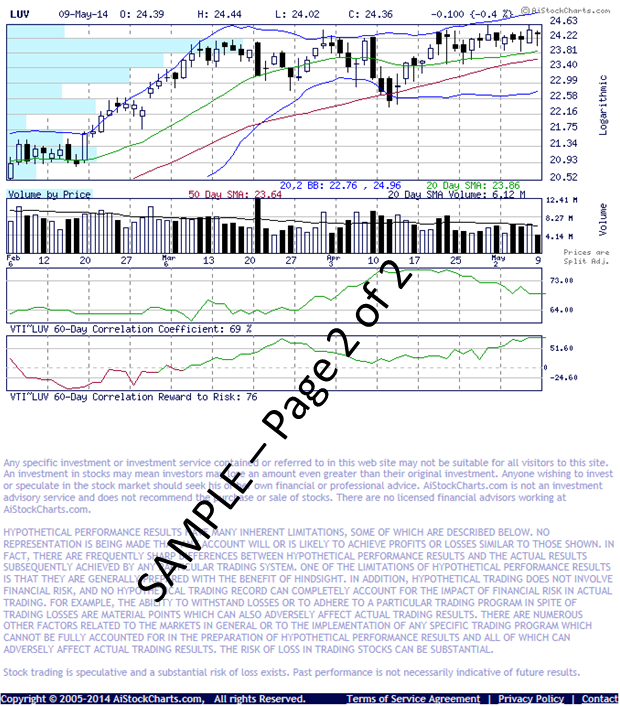 Technical Indicator Analysis Visit the Technical Indicator Analysis page, enter your favorite technical indicator and find out how it has performed for the stocks you specify. Detailed analysis reveals each hit and the maximum growth of $5000 assuming $5 commission per trade. Tax Deduction You may be able to deduct up to 100% of your subscription cost as an investment expense.